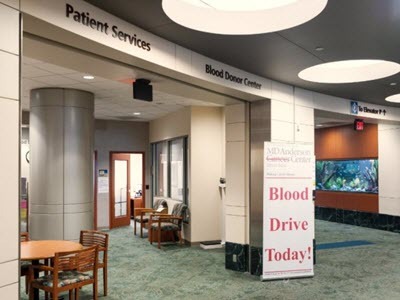 Appointments are not required for whole blood donations at MD Anderson Blood Donor Center locations. Platelet donors - please do not take any aspirin or aspirin-containing products (advil, motrin, nuprin, ibuprofen, aleve, excedrin) or herbal supplements (ginger, ginkgo-biloba, ginseng) during the 48 hours prior to your donation. Questions about donating? Please call us at 713-792-7777.